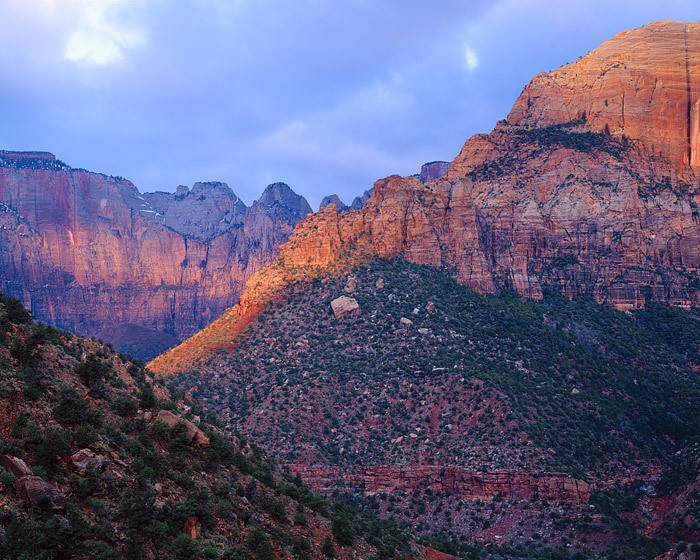 The sunrise breifly shines through the thick cloud cover over Zion National Park. The lighting, although brief helps highlight the red sandstone walls and streaks of varnish created by the occasional rains over the park. Sunrise in Utah often means cloudless blue skies and bright sunshine, springtime however, can produce conditions such as this. Photo © copyright by Thomas Mangan.